Enhance your training and develop your Kung Fu skills way beyond their current level - achieve your ultimate potential in Kung Fu with this mind penetrating subliminal audio album. This subliminal album won't do everything for you - for example, you still need to train and practice regularly, so sadly this album will not turn you into a kung fu master overnight - especially so if you are not practicing at all or committed to improving yourself. It works in a really simple way; to give you an advantage and a boost in your training - so that you can get more from it and to advance at a faster rate. It will make sure you are dedicated and motivated, and ensure that you train to your limit every time and push yourself like never before. It will ultimately instill in you the type of mindset and patterns of thinking which are shared by people who are "naturally" talented in kung fu and martial arts, so that once you share these beliefs too then your kung fu will advance at a much faster rate! Improve your ability to concentrate and your levels of focus while training. This means that you will get much more out of your practice, you will learn things first time every time, and become much more natural. Boost your levels of motivation and your drive and hunger to learn more than ever before. You will train harder, and more often. You will push yourself further and further in your kung fu training - you will stop taking short cuts and really feel a burning desire to excel past your current level. Make you much more analytical and critical about your technique, your posture and your every movement. You will become a perfectionist, always self analysing, breaking down your movements and questioning how you can improve. You will be 100% dedicated in mind and body, and importantly, your subconscious mind will be completely focused on your training. You will put everything into enhancing your ability, into learning kung fu properly, and because of this your kung fu will develop at a much faster rate. For best results try to listen to this album before you train, or if possible during your training sessions. 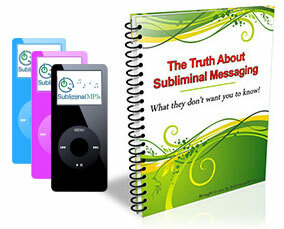 This makes sure that the messages are fresh in your subconscious mind. Within just one or two sessions you will feel much more motivated and really start to push yourself harder and harder, you will feel energized and driven to train. Over the next 2-3 weeks you will see a real difference in your kung fu ability; in your technique, movements, and posture, and physical qualities such as your speed, stamina and strength. 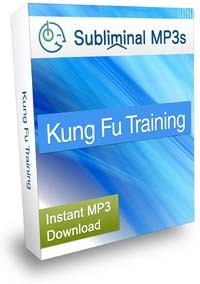 Download these powerful subliminal mp3s now - to not only get a boost to all of your training, but to take the first step towards improving your entire kung fu style forever!